I’m looking forward to the upcoming four-day Thanksgiving weekend. Thursday, we will be entertaining family members. We’re thankful our relatives would choose to spend their day with us. Come Friday, however, it’s a good bet I’ll be spending a chunk of “Black Friday” down in the quiet confines of my train room listening to Christmas music as I labor. 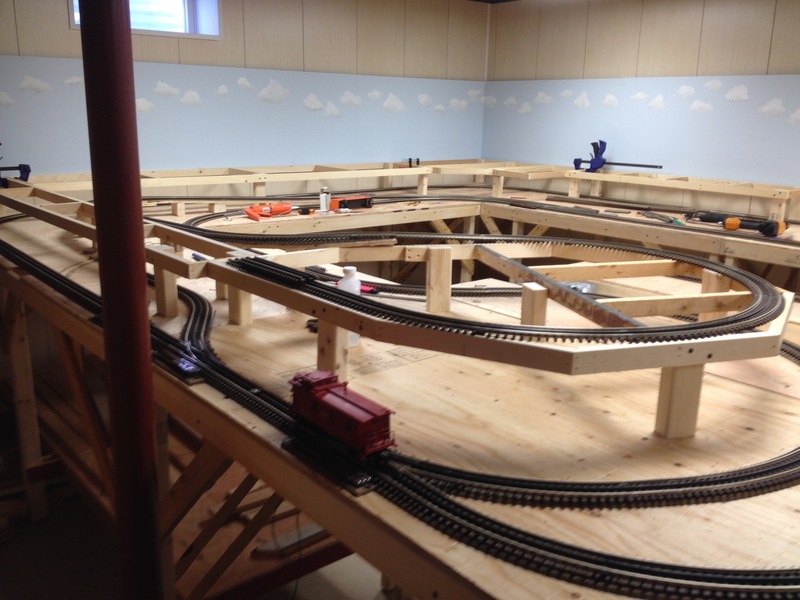 I mentioned in my previous post that I decided to construct an “O” gauge model train layout. If you are considering modeling this gauge, there is a significant division within the “O” gauge community that you need to be aware of. It has to do with the words “gauge” and “scale”. “Gauge” is defined as the distance between the rails and “scale” is defined as the proportioned size a model has to the full-sized object (for “O” scale it’s 1/4” = 1 foot). These terms, however, also represent two different branches of approximately the same size model train. Buildings, model figures and scenery are interchangeable between “O scale” and “O gauge.” “O scale” and “O gauge” engines and railcars, however, are not interchangeable, even though the models may look a like. O “gauge” track has three rails and is powered by alternating current (AC). O “scale” trains run on two-rail track powered by direct current (DC). I chose to purchase “O” gauge trains. In the past these trains had a toy-like quality about them and tended to be slightly smaller than their “O” scale cousins. Recently, there has been a lot more realism added to “O” gauge trains and accessories. The more popular manufacturers are Lionel and Mike’s Train House (MTH). I spent a considerable amount of time over the last two years creating a track plan for my layout. As I mentioned in my last post there were two things I wanted to incorporate into the design; to be able to run trains continuously for visitors and operate them like a real railroad. I have had to modify the track plan a number of times to make it appear more like a real railroad. Last winter, my goal was to finish all the bench work sections and cover them with plywood. Bench work is the foundation that supports the weight of trains, scenery and both the upper and lower levels of my track. I constructed my bench work out of 1”x3” pine boards and roof sheathing (plywood a little thicker than 1/2″). My bench work is supported by 2”x3” legs. Many model railroad experts would say I skimped too much on my materials. They would recommend 1”x4” framing ¾” thick plywood and 2”x4” legs, which is good advice. Since I am keeping the depth of my layout to 3 feet and the length of the sections to 4 or 5 feet I am confident I will be okay with the choice I made. 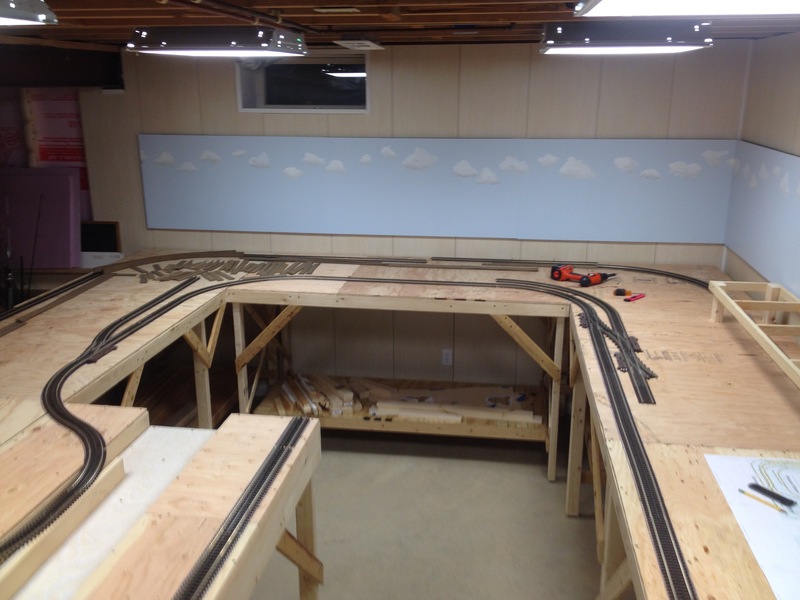 When all the bench work was finally complete and the sections bolted together, I had a 30 by 13 foot around-the-room layout shaped like the capital letter “C.” Earlier this spring I finished laying most of the track on the lower level. I decided to bypass the rail yard area due to the cost of the track and switches. 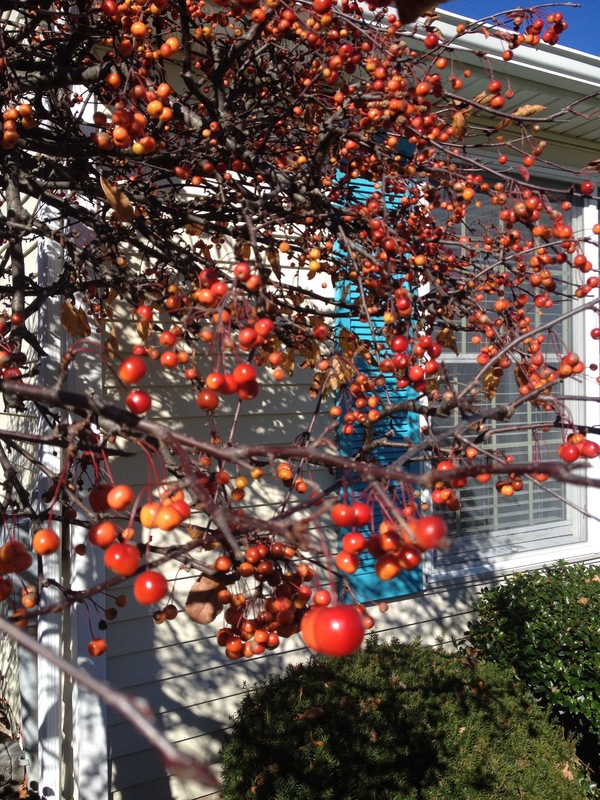 I am saving that area for next winter’s project. In case you didn’t know, a rail yard is a collection and redistribution point of freight and passenger cars. It is the place where inbound trains are broken apart after their arrival and outbound trains are assembled prior to their departure. This winter I am adding the second level of track to my layout, elevated approximately 8” higher than lower level. A two-level track plan presents engineering and design challenges but it permits me to run more trains, allows the trains to travel greater distances and lets me add more towns and industries for my trains to service. So, my work this weekend involves constructing a long gradual incline connecting the two levels of track. Since I plan to run trains consisting of 8-10 railcars plus a caboose, I can’t make the grade too steep. If it does prove to be too steep, I can always run an extra engine behind the train to push it up the grade like a real railroad. Happy Thanksgiving everyone! Stop back in a couple of weeks to check on my progress. This entry was posted in Model Railroad and tagged Hi-rail, Lionel, model railroad, model trains, MTH, O gauge, O scale trains, O-27, train layout on November 25, 2015 by roushwm.